The maxim "If you want something done right you should do it yourself" usually does not apply to car cleaning, but the owner of this Ferrari 458 Italia who loaned their precious Italian sports car to mobile car cleaning service probably regrets outsourcing that particular job given what's left of the car. 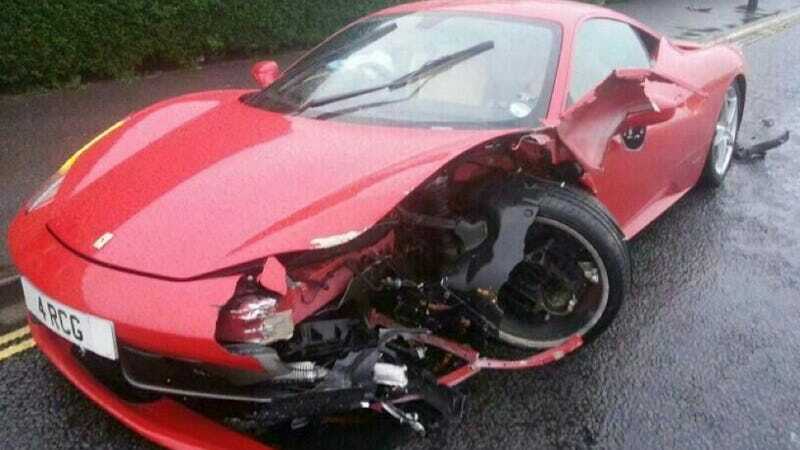 According to the lovely Nancy Atkinson Turner, whom you might remember from this crash, says a "valeter" (a Britishism for the person who does mobile car detailing) she's used before did this bit of damage to the 458 in the town of Portsmouth, UK. Perhaps he was trying to air dry it?